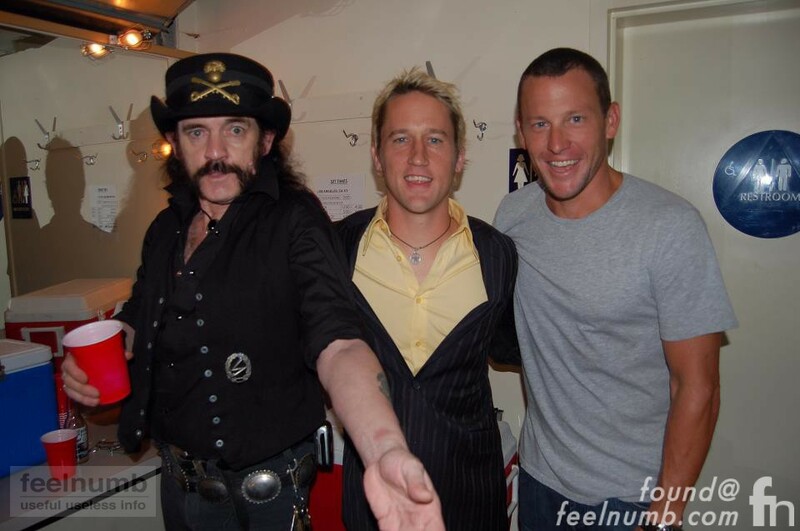 Here’s one for you….Rockers Lemmy Kilmister and Chris “Shifty” Shiflett with the recently disgraced Lance Armstrong. The classic photo was taken by Wiley Hodgden on August 30, 2006 backstage at the Foo Fighters acoustic concert at The Pantages Theater in Los Angeles, California. 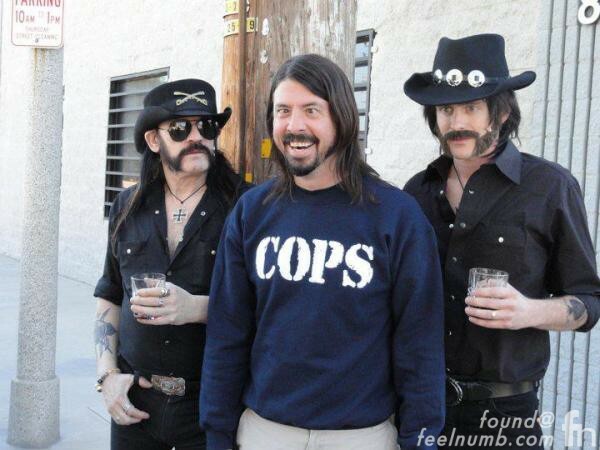 Coincidently Hodgden, who is a member of the Taylor Hawkins cover band Chevy Metal was the “Lemmy” stunt driver used for the Foo Fighters “White Limo” music video because Lemmy never had a drivers license. Click photo or link below to check out more photos from the video.